(b. 1986) – since his youth, has been a cinema enthusiast. 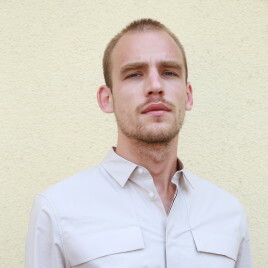 Graduate of the Cultural Studies programme at the University of Warsaw. Despite a love for travel and many journeys behind him, he has a strong local identity – he identifies first as a resident of Żoliborz, then as a Varsovian. Lover of cities, photography, the future and football. He is pursuing his greatest passions – cinema and computer games – as the director of the cinematic interactive dialog sequences in The Witcher 3. He dreams of making a directorial debut on the big screen and discovering new frontiers of video games.